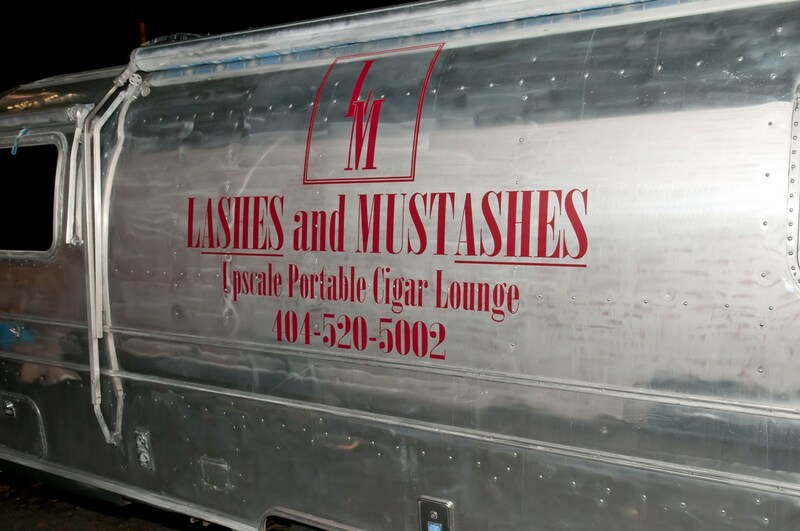 Lashes and MustASHES has hit Charlotte. 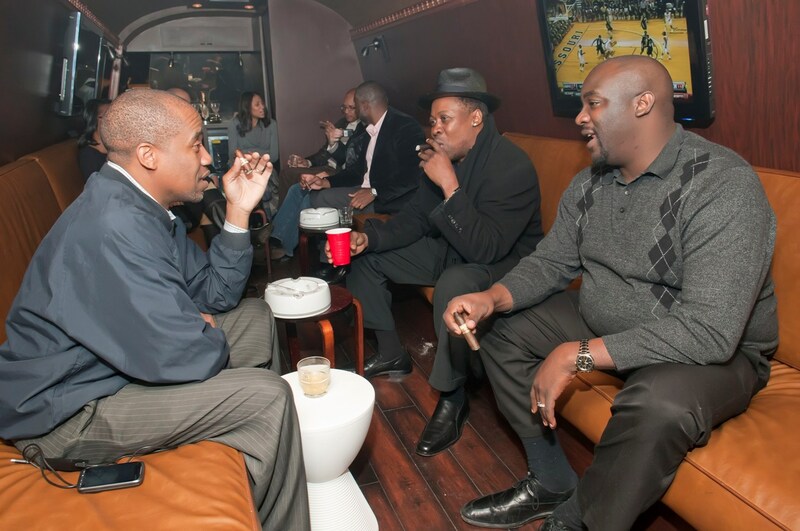 The portable, luxury cigar lounge-on-wheels is here for a few days. I visited it Wednesday night as it set up shop outside Luna Lounge. Lashes and MustASHES is housed in a silver RV known as the "Land Yacht," where guests come inside to smoke some of the finest cigars amongst leather seating, flatscreen TVs, and music. It's an intimate party that can attach itself to a party. Photos by Jon Strayhorn/Media Arts Collective. Based in Atlanta and owned by Joyce Larkins, Lashes and MustASHES is a great concept and should be a good fit for Charlotte. 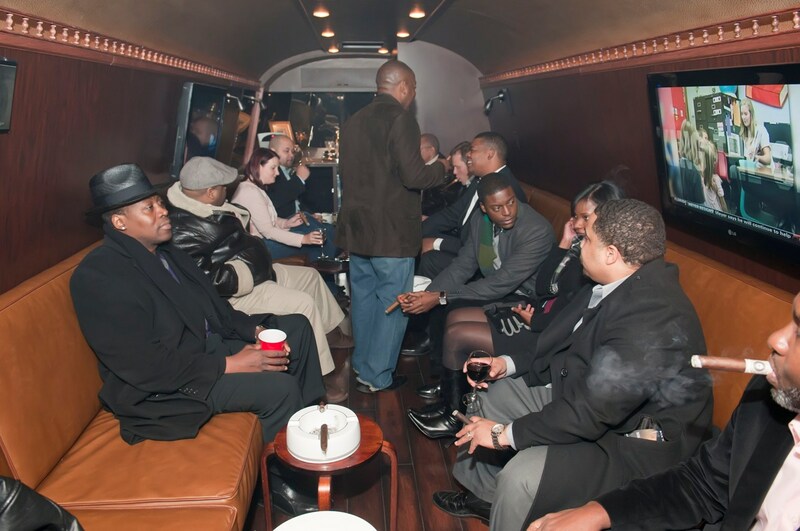 Since you can't smoke at restaurants, bars, and nightclubs in North Carolina anymore (unless it's a licensed cigar bar, which there are few), the mobile lounge allows cigar aficionados to get their fix away from those who don't want to experience the thick clouds of smoke. Wednesday night, guests bounced back and forth from Luna with drinks in hand, as they kicked back inside the Land Yacht. 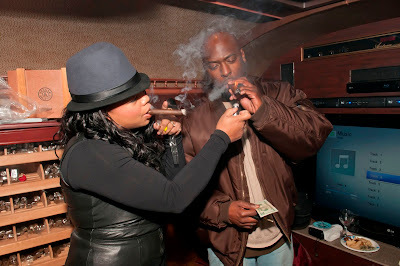 Joyce was selling cigars left and right to the eager crowd.